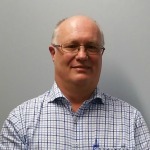 Dr Philip Wright is the Chief Scientist for the NSW Department of Primary Industries (DPI). In this role Dr Wright is responsible for maintaining science excellence and developing effective science strategy for the Department's significant, $100 million, portfolio of research. As Chief Scientist he also provides high level advice on technical issues and research policy to the Department and the broader NSW Government and consults widely with academia, industry and government to ensure knowledge and research can be adapted and used to benefit NSW primary industries and the NSW community. Dr Wright has contributed to government policy in a number of important areas including gene technology, medicinal cannabis, licit poppies, the use of research as a mechanism to address coal seam gas and agriculture land use conflict, and on delivering cross jurisdictional initiatives. Dr Wright holds a number of board or senior committee appointments including being the NSW representative on the Gene Technology Standing Committee and a member of the National Research and Innovation Committee. In addition to his science qualifications (PhD, M.Sc, B.Sc.) he also holds an Executive Masters in Public Administration. Prior to his senior science leadership roles Dr Wright undertook research on plant physiology of drought tolerance and on a range of plant nutrition and crop physiology issues. He has published widely and is highly cited.